Mensae currently holds the #3 ranking in our list of favorite Modern & Creative Restaurants in Paris. In a simple dining room, way up on the Belleville hill and not far from the sprawling Buttes-Chaumont park, some of the best bistro fare in Paris is being served. 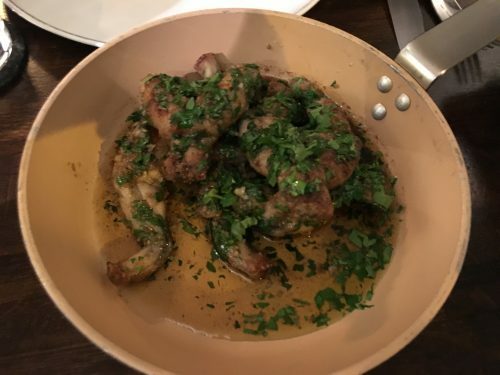 Comfort food like frogs’ legs dripping in garlic butter and crispy pork belly with braised cabbage share space on the menu with brighter fare like confit trout with beets and horseradish, or a falling-apart lamb shoulder with creamy beans and preserved lemon. 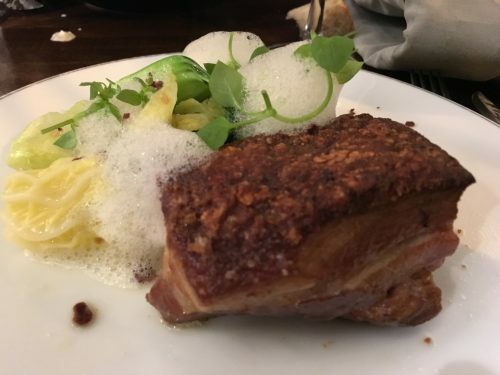 There’s a lunch menu at €20, a three-course dinner menu for €36, and a wine list with many good bottles for less than €35 – all of which make this an exceptional value for Paris. Le Monde (2016) François Simon says to count on spending €100 for two people sharing a nice bottle, unless you go for the €20 lunch steal. 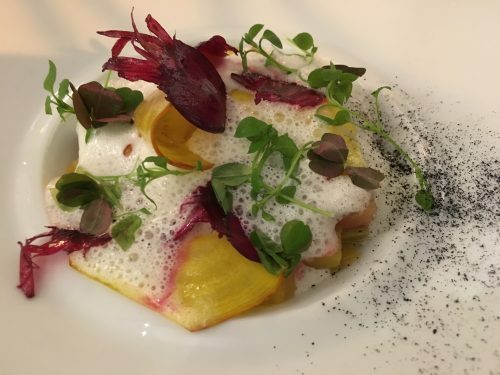 He’s charmed by the food – merlan (whiting) with crisp skin and fresh peas, on this visit – and praises the very kind service for elevating his meal. Paris Bouge (2016) For these guys, there’s nothing incredible about the decor, but what’s happening around the table is noteworthy. 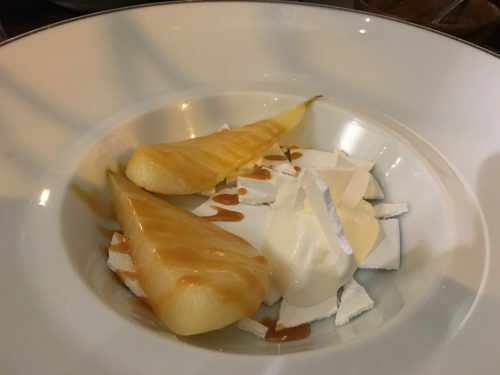 They’re especially fond of desserts like caramelized pear with buttermilk ice cream. John Talbott (2015) John reminds us that Mensae is a project from two Top Chef alumni, and, during his first visit in December, raves about a fresh herring and vegetable salad, followed by foie gras raviolis “with a wild mushroom sauce that tasted almost like truffles.” He returns the following May and raves about tender octopus and a strawberry pistachio dessert.